The Surf Leader Ultra is the new flagship surf rod. Because of the Spiral X & Hi-Power X blank technology, this rod is the ultimate surf rod with unbelievable distance casting abilities. 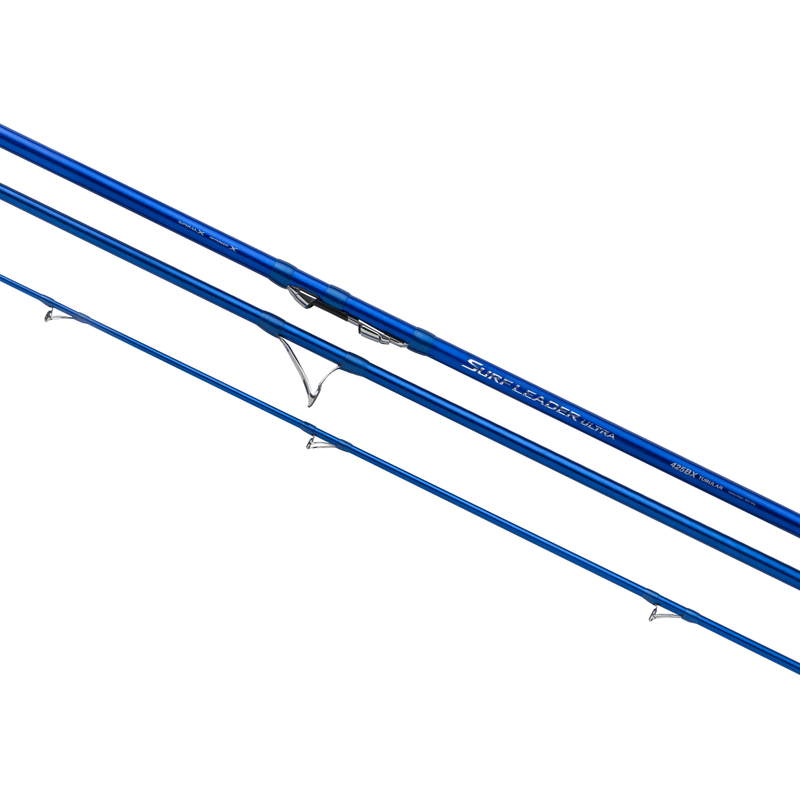 The Spiral X construction results in reduced torsion and ovalisation while the Hi-Power X construction results in reduced blank twist and greater rod strength. Overall this creates a very strong, stiff and lightweight rod blank with incredible casting performance (both distance and accuracy). The Surf Leader Ultra is available in 425 and 450 cm length with either a tubular tip or a solid tip.